We all have dating red flags and if we spot one, bail before getting in too deep. 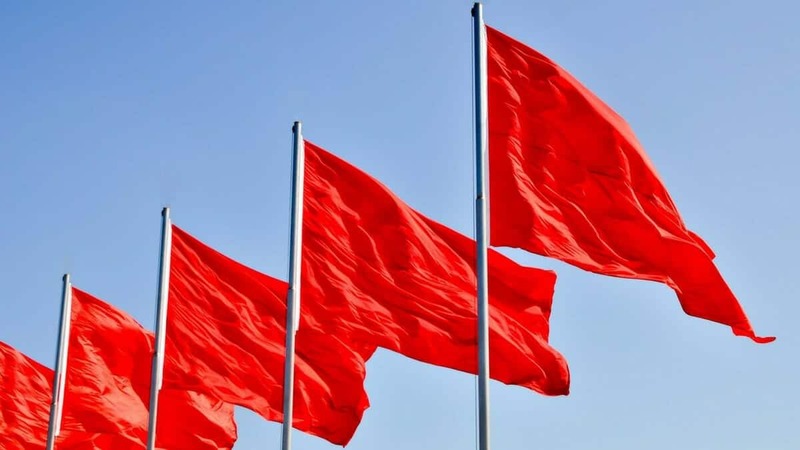 Financial relationship red flags take longer to spot. Be vigilant. We can overlook a lot in the name of love, the snoring, leaving the toilet seat up, beauty products multiplying on every bathroom surface. But some things can be dangerous to overlook. Not everyone agrees on matters of personal finance but there are some red flags that should be considered no-go territory when it comes to merging your life, home and credit score. Please note; these are not questions for first dates! Or for those you are planning just to date casually. These are questions to ask when you’re considering DTR. Forty million of us have student loan debt so if you’re looking for love, you might have to be a little flexible when deciding if this kind of debt is on your no-go list. If someone has this kind of debt, it’s not necessarily the worst thing in the world. A lot of student loans have manageable interest rates. If the rates are high, the loan can be consolidated and refinanced through a company like Earnest to a more manageable level. Seven million of us though, have student loans in default. This is a much more serious problem with long-term consequences. Student loan debt is not discharged during bankruptcy or nearly under any other circumstance. A defaulted student loan will tank a credit score which means if will be that much more difficult if you want to buy a home with this person. Wages, tax refunds, and even Social Security payments can be garnished to repay student loans. Credit card debt is another gray area when considering a partner. There is a vast difference between someone having a few thousand dollars in credit card debt because they were using credit to fund essentials during a spate of unemployment and someone with tens of thousands of debt racked up because they like to act like a baller and pay for expensive dinners for their friends a couple of times a month. What should weight your decision is what led to the debt, if the person considers the debt a problem or merely something to be ignored, and if they have a plan and are acting on that plan to pay it off. Here’s a simple test; ask the person to hand over their cards to you for safe keeping. The person working to pay them off may refuse but will likely explain why. They have a plan and it’s working. The person who just ignores the problem and keeps spending wildly, will flat out refuse. 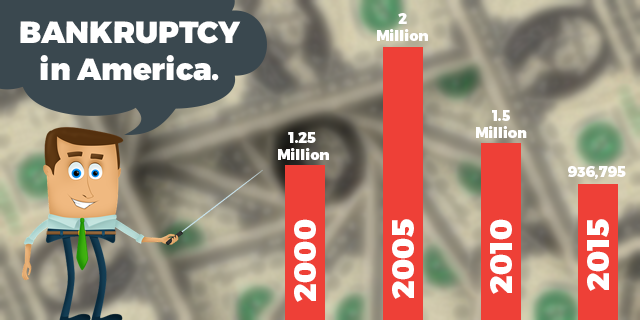 About a million Americans file bankruptcy each year. More than half of those are due to medical expenses. So your honey might not be a profligate spender but a victim of the criminal cost of health care in America. Making this another one that you have to gather some information on. What was the reason? How long ago was it? What have you been doing to improve your credit score? But banks don’t care why it happened, they’ll just know that it did, making things like getting credit cards, loans, and mortgages for the next several years tough. Between 2007-2012, the Dark Ages in terms of home foreclosures, ten million Americans lost their homes. Foreclosure has many of the same repercussions as bankruptcy, it’s perhaps worse for a credit score though, sometimes dropping it 250-280 points. A job loss can happen to anyone and if you’re with someone long enough, it might happen to them. It’s the reason for the job loss that is important. A job loss can happen for reasons beyond our control; company-wide layoffs, the business folds entirely, the company moves to a place not all of the employees wish to live. Some people lose a job for reasons that should be well within their control too. Chronic lateness, absenteeism, incompetence, problems controlling ones’ temper. Has this person been fired from multiple jobs? Is there a pattern; things start out well and then they start showing up late or calling in sick? Are they constantly at odds with co-workers and higher-ups? If they can’t keep a job, they can’t keep up with their bills much less contribute to saving for a home or retirement. This can be heady stuff in the dating stage. Fancy dinners, exotic vacations, expensive gifts. And if they’re willing to spend all that on little old you, imagine what they’re spending on themselves! Only the best for the big spenders. And those things are great, if you know there is money to pay for it all. But if they’re buying all this stuff on their $40,000 a year salary, you might want to start asking questions. 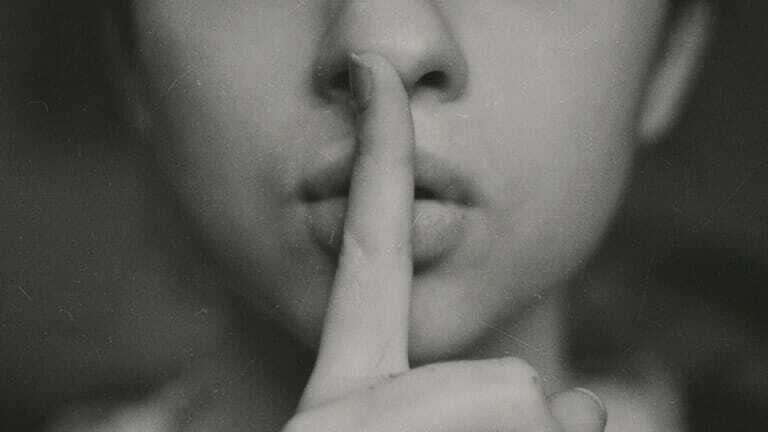 No one has ever whispered sweet nothings on the topic of 401k’s but you might want to bring it up during a less amorous moment. According to the Fed’s 2014 survey, 31% of non-retired Americans have no retirement savings or pension. The younger your partner is, the less worrisome this is. They still have time to start saving. But a quarter of those aged over 45 are included in that 31% statistic and because they have less time for the magic of compounding interest to work it’s magic, this is a legitimate concern. Opposites are said to attract and in some regards, that can be a good thing. An introvert needs an extrovert to get them out into the world now and again. A messy person needs someone tidy to keep them from living in squalor. Gingers like me need someone with a soul. But there are other areas where the gulf is just too vast. If you’re taking lunch to work to stay within your food budget and your partner is spending $10 a day at Chipotle, you might feel like having a word and your words might not be spoken with your indoor voice. If you pay off your credit card balance every month and your partner pays only the minimum month after month and you lay awake nights calculating the amount of interest accumulating, the relationship might not be sustainable. This one is tough to take. If you knew that they were lying in order to keep up their irresponsible behavior, you should know just to walk. But what if they’re lying out of shame? Or because they’re afraid of losing you if you knew how bad things really are? That makes the decision harder. 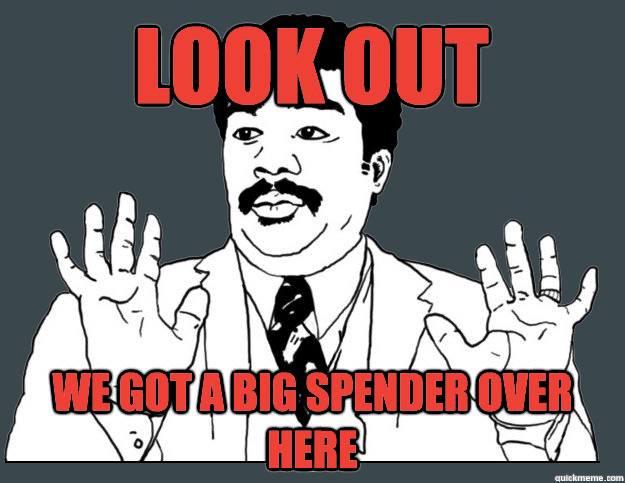 What are they spending on? The spending might reveal a bigger, worse problem like a gambling or drug addiction. If you catch this kind of lying, check your credit report immediately. This person has access to your personal information; they could easily have opened credit cards in your name or even taken out a loan. If either of these things have happened, you have to run away. There is no justification for this, it could destroy your credit. Even if the person you’re involved with has a few of the flags on this list, it’s not an automatic write off. People make mistakes. If they are willing to fix the problems and can show you they are actively doing so, it might be worth it to stick around. Some people don’t want to change and you won’t change them. Hitching your finances to someone who won’t is going to be nothing but trouble. The old cliche about marrying someone means marrying their family too is doubly true about finance. You’re marrying their habits and in some cases, their debts. Love is blind but blind doesn’t equal stupid.